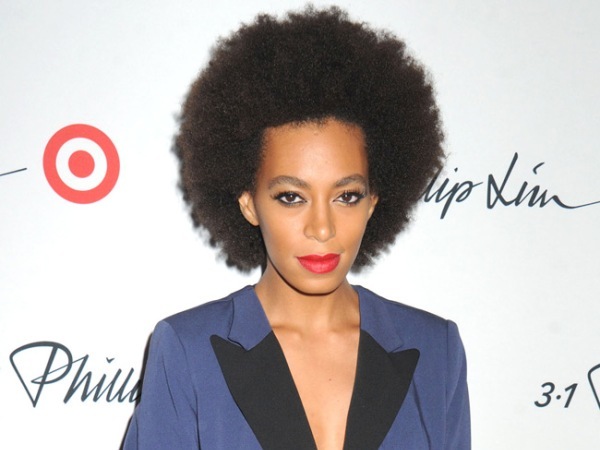 Solange Knowles' son Julez, nine, has inspired her to be a better person. Solange Knowles' son has inspired her to be a "better person." The singer, who recently admitted she feels "far older" than 27, has nine-year-old son Julez with her ex-husband, Daniel Smith, and has changed a lot since becoming a mother. The Losing You hitmaker told the May issue of Essence magazine: "Seeing that conviction and honesty with everything he does absolutely has made me a better person." The star, who is Beyoncé's younger sister, added: "Motherhood is such an evolving journey. You really have to shape and mould your morals and values around that personality that has come into itself." Solange, who is in a relationship with video director Alan Ferguson, previously said she doesn't want her son to follow in her footsteps and be a performer. She said: "It's certainly not what I have in mind for him, I'm constantly trying to push him to work at the U.N., or be a diplomat. I try to convince him by explaining that he wouldn't have to wait in lines at the airport, and that he can park anywhere." The singer is still on good terms with her ex-husband, whom she married when she was just 17 and divorced three years later. She said: "We co-parent really well. I'm able to say, 'I need to finish this album, can you step up and take care of the boy?' "